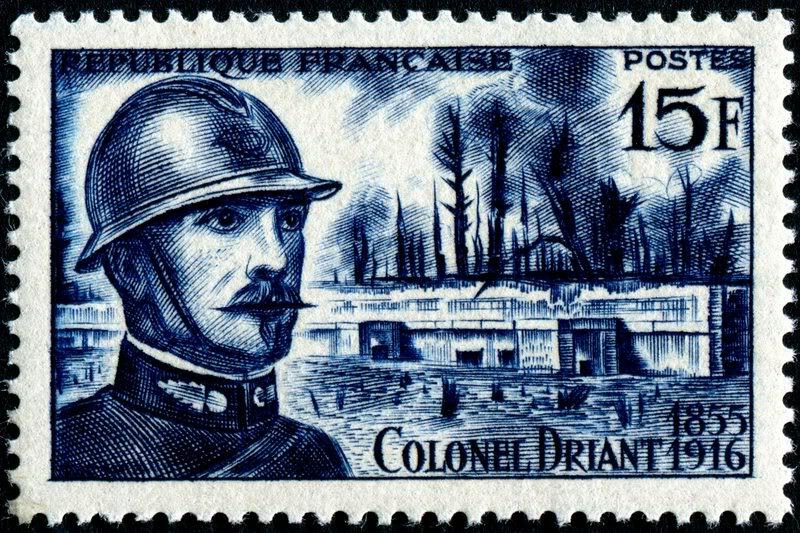 In 1914 Driant was recalled to the Army as a captain, and was soon promoted to lieutenant colonel and given command of two infantry battalions, the 56th and 59th reservists battalions. He still kept his seat in the Chamber of Deputies and was involved in the drafting of the legislation to create the Croix de Guerre. In December 1915 he criticised General Joseph Joffre for removing guns and infantry from fortresses around Toul and Verdun to help ease the stalemate on the Western Front. He was supported by Joseph Gallieni, who as a general himself criticised Joffre, but who was between October 1915 and March 1916 the Minister of War. Nevertheless the potentially strong fortresses of Toul and Verdun was largely stripped of their defences. On 21 February 1916, the German Army launched a massive attack on the French army in the Verdun sector. The French defences crumbled, and Driant’s two battalions—just 1200 men—began a desperate defence of the Bois des Caures. His battalions resisted the German assault until the afternoon of the second day, enabling the French High Command to rush troops to the threatened sector. Having achieved that objective, and with his forces on the point of being overwhelmed, Driant ordered the survivors to withdraw. He lost his own life. He and his men are still commemorated at a ceremony on 21 February every year. He was buried by the Germans, who wrote to his widow (via Switzerland) to assure her that he had been accorded full military honours. He was re-interred by the French where he fell, in the Bois des Caures, where a memorial now stands to him and his men. My information is so far all from Wikipedia; I hope to correct this as soon as possible.